(Institute of Diplomatic Studies; King Saud University; MIT; IMF; Thunderbird Global Business School) in several subjects in economics. He was a president of Gulf Monetary Council. 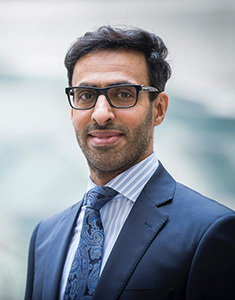 In addition, Raja worked as a consultant to many government and private organizations (World Bank, ARAMCO, Ministry of Economics & Planning, Saudi Arabian General Investment Authority (SAGIA), Supreme Commission for Tourism, Cooperation Council for the Arab States of the Gulf (GCC) and KACST…etc). Also, he was a board member in several organizations and Funds. Mr.Almarzoqi is specialized in policy modeling for impact assessment and scenario analysis, Money and Banking, international finance, and Finance. He presented research papers at major international conferences and published papers in major Middle East journals. Mr. Almarzoqi holds a BA from King Saud University in economics, M.A. from University of Michigan, Ann Arbor in economics, and Ph.D. from Oklahoma State University, Stillwater in economics and finance.